Beautiful, right? I need to find a reason to put this in a book one day. 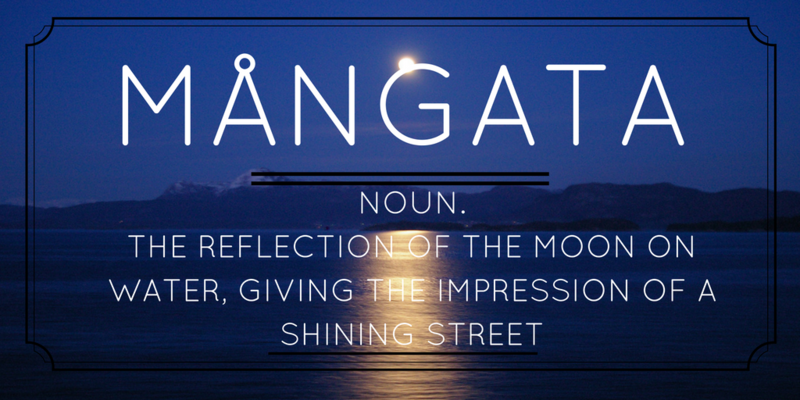 The amusing thing with those lists is that they often write out the word as mangata instead of mångata. Which makes the meaning manstreet or manestreet rather than moonstreet. Not quite as poetic, I think.